Bioethanol in general is produced through yeast fermentation of plant sugars. Plants use sugars for energy storage. Sugar plants (e.g. sugar cane, sugar beet) store energy in the form of saccharose while other plants (e.g. maize, wheat, potato) store sugars in the form of starch polymers. Both saccharose and starch are easily accessible and are already widely used for the production of first generation bioethanol. However, the main components of herbaceous biomass are cellulose and hemicellulose. These are also sugar polymers and can be used for bioethanol production, but due to their role as structural plant materials, they are less accessible. 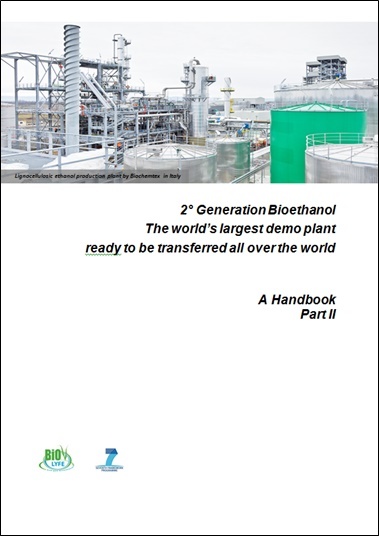 For second generation bioethanol (or lignocellulosic ethanol) production, the whole plant, including cellulose and hemicellulose, is utilized, which increases hectare yields and GHG efficiency and reduces for example the competition with food production. 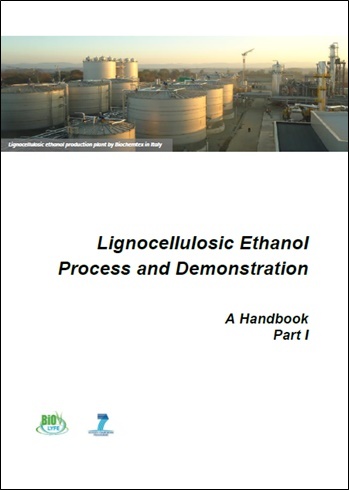 The main challenge in second generation bioethanol production is the efficient breakdown of cellulose to sugar monomers (hydrolysis). Due to the recalcitrant character of cellulose, feedstock pretreatment and adapted hydrolysis steps are needed to obtain fermentable sugar monomers. These steps are currently cost and energy intensive which still limits the economic viability of second generation bioethanol. The development of a cost efficient production process, including improved cellulose utilisation, is the main challenge for the future development of second generation biofuels. BIOLYFE met this challenge by developing advanced processes and demonstrating industrial-scale production of second generation bioethanol.